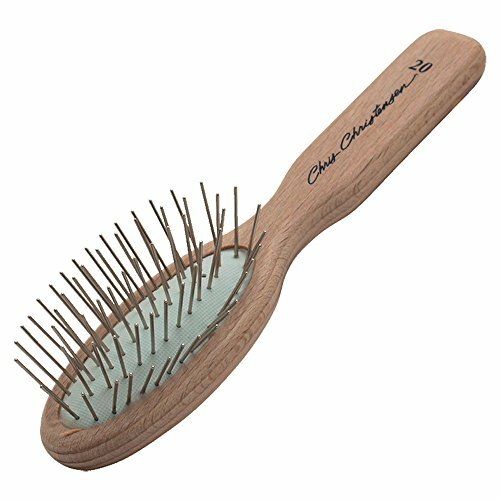 Chris Christensen, renowned in dog shows and show dog grooming, offers this top quality little wonder pocket pin brush. Perfect for grooming coated toy breeds and as a ring brush, yet gentle enough for all breeds. Fits in pocket, purse or arm band. The ground and polished tips are the smoothest available.